The NBA Season has reached the midway point and there are plenty of things to talk about. 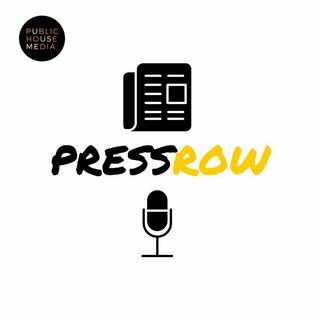 This week on Press Row, Christian heads to the hardwood to the get latest scoop on all things basketball. Speaking of scoop, Brandon "Scoop B" Robinson is back on the program to help break it all down. The Scoop B Radio host discusses the possibility of an Anthony Davis trade, grades the season of the Los Angeles Lakers, and gives some midseason awards. Plus, Christian throws a curveball at him ... See More on where Kevin Durant could sign in the summer if he leaves Golden State. All that plus your listener questions, submitted via social media! Don't forget to subscribe on Spotify, Apple Podcasts, and www.publichousemedia.org!